1. 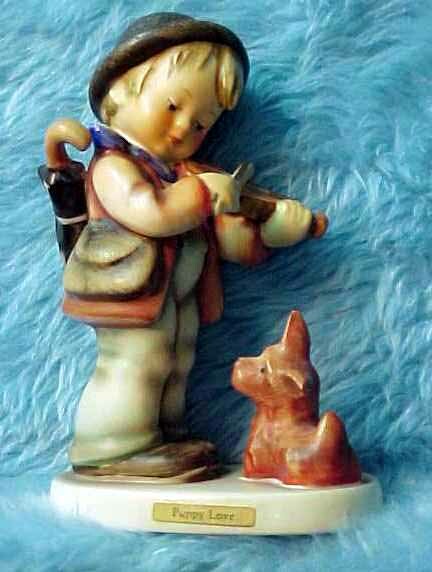 Hummels are porcelain figurines, plates, miniatures, lamps, bells, plaques and other distinctive collectibles which are made by W. Goebel Porzellanfabrik of Rodental, Germany. 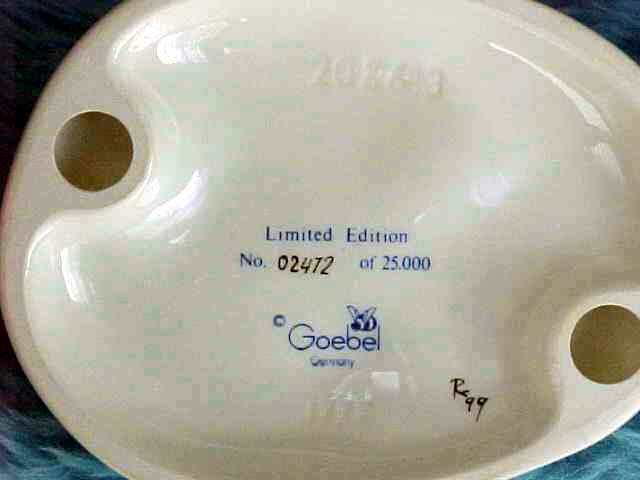 Goebel is the exclusive manufacturer and worldwide distributor of Hummels. 2. 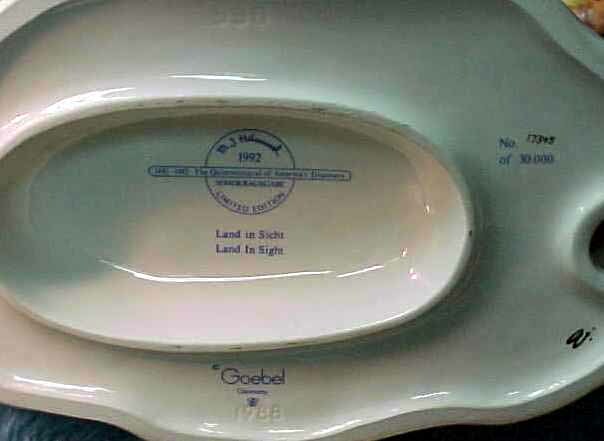 Not all Goebel products are Hummels, but Goebel makes all Hummels. 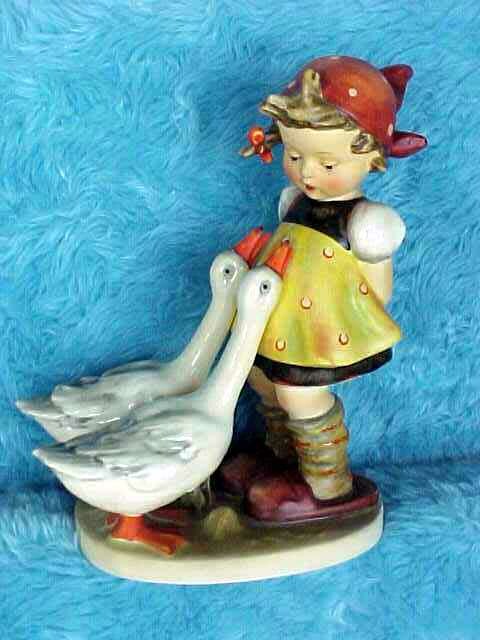 Over the years, Goebel has used some of the distinctive Hummel trademarks (mainly the BumbleBee) for some of its porcelain collectibles. An example might be a set of the Disney "Snow White and the Seven Dwarfs." In other words, Hummels cannot be identified exclusively by the fact they may have a "Bee" stamped or incised on the underside. 4. 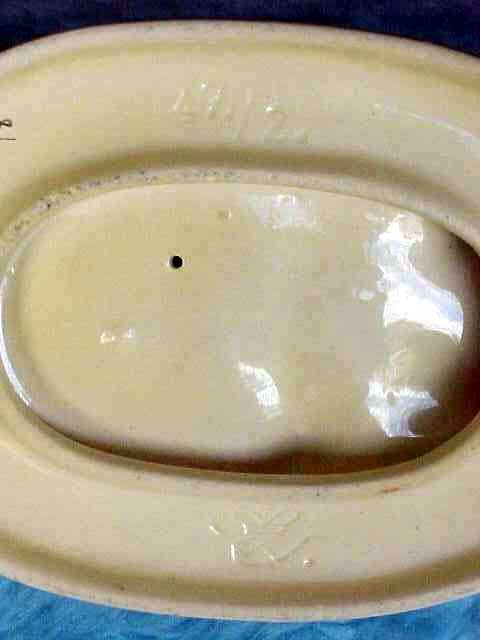 Identifying marks on the UNDERSIDE of Hummels tell the Hummel Model Number (HUM), the size indicator (Arabic and Roman Numerals), the year of release (usually the year after the production year), and sometimes the paint and/or painters code numbers (incised Arabic numbers or script initials). 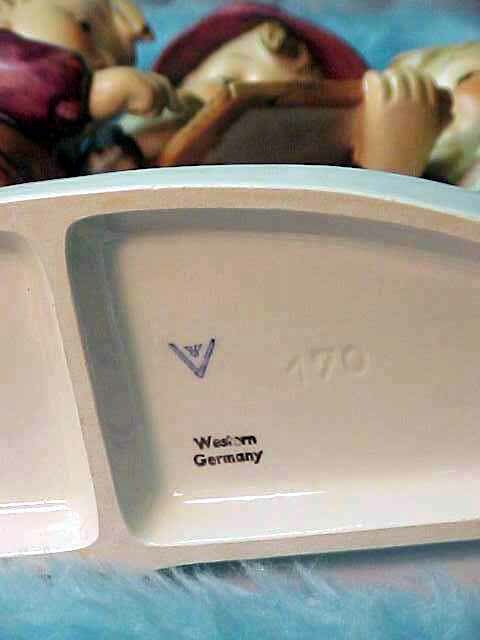 During the division of Germany into East and West, various other labels were used, e.g., Made in U.S.-Zone Germany, Western Germany, and W. Germany. Also, during the third and fourth trademark periods (called Stylized Bee and three-line Bee, respectively, from 1957 to 1972), TradeMarks 5, 6, and 7 all used Goebel and W. Germany. 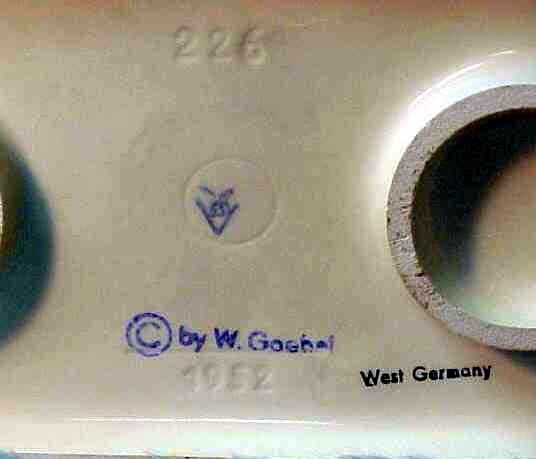 TMK 5 (1972-79) was distinguished by being the last time the "V" and Bee were used in combination with Goebel and W. Germany. Then in 1991 up to the present, TMK 7 brought back the "Crown" which had been used for TMK 1 from 1935-1949. Currently, all editions of Hummels are called Closed Editions (CE) except some TMK6 and most of the TMK 7 are still Open Editions (OE). TMK 8 was introduced late 1999 and now used for Hummels into the year 2000. 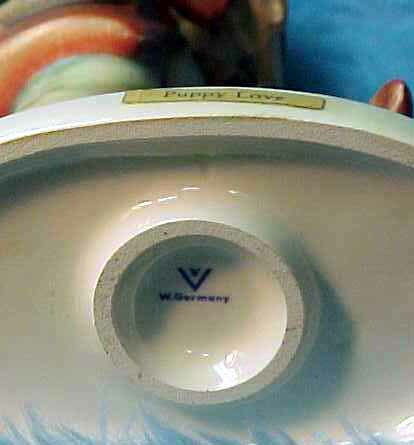 Sometimes there are "Double Crowns" with one incised and the other stamped under the glaze. Infrequently, we find a Full Bee stamped and a Crown incised. 5. 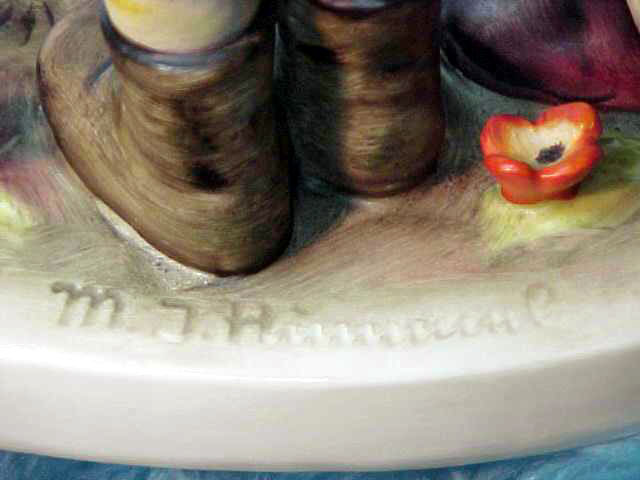 The earliest trademark was called the Crown Edition where either an incised or stamped "crown" appeared on the underside of the Hummel as shown below. This is one of the largest Hummels produced as indicated by the Roman Numeral "II". 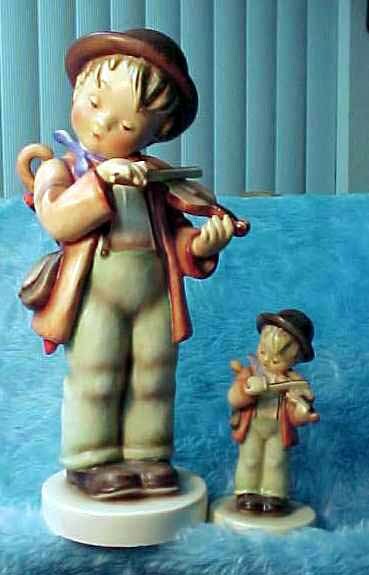 The "Crown" is incised on the underside of "Little Fiddler" and can be seen at the very top (at 12 o'clock) in the picture below right. 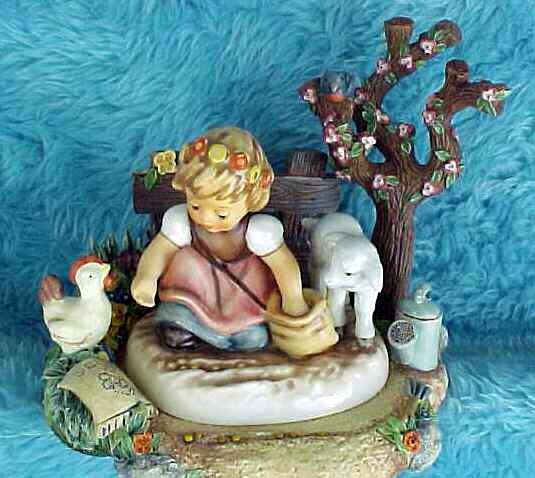 Following is perhaps the most popular Hummel named "Goose Girl." The picture below right shows a clear incised "Crown" at the bottom of the underside at (6 o'clock). 6. While Crown Editions and Full Bees (TMK 2) are highly prized, the Stylized Bee (TMK 3) is also very desirable. 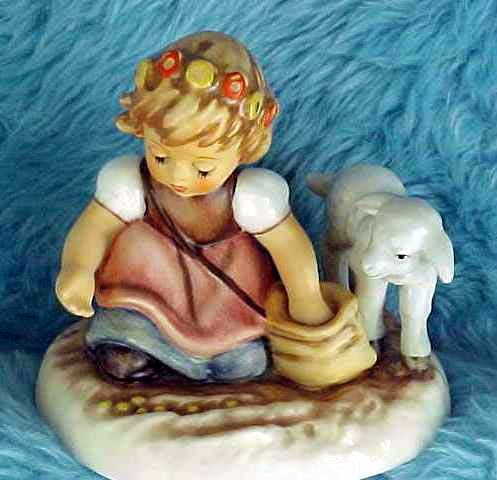 Following is an example of the first Hummel released entitled "Puppy Love," HUM 1, TMK 3 (Stylized Bee). 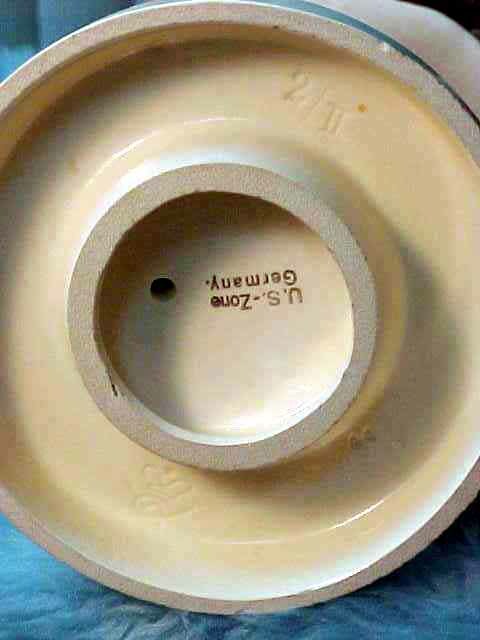 Since it was only released in one size (5 to 5-1/4"), there is no size indicator on the underside of this Hummel. It was discontinued while in TMK 6 with a FINAL ISSUE in 1988. 7. The difference between TMK 2 (Full Bee) and TMK 3 (Stylized Bee) is determined by the position of the Bee's wings either flying over the "V" or the wing tips are exactly even with the top of the "V" to be distinguished as a Stylized Bee. Refer back to "Puppy Love" for TMK 3, and below is shown a Full Bee. The importance of this particular example of Full Bee is the Hummel wasn't released until 1952, when the Full Bee was the TMK in use by Goebel (1950-1955). In other words, this particular TMK 2 is as valuable as a Crown Edition TMK 1, because it is the first issue. 8. Generally, the value of a Hummel is influenced by the trademark year of release. Other considerations are condition and size. Large Hummels are coveted by collectors, and especially the Century and Limited Editions command higher prices. 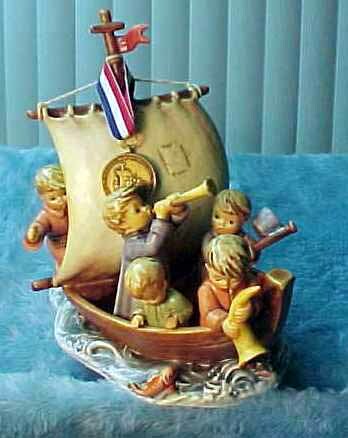 Following is a very popular Hummel because it is a Limited Edition (30,000), and was designed to celebrate "The Quincentennial of America's Discovery" (1492-1992). It is TMK 7, molded in 1988, and released in 1992. 9. The Reference Table below shows the eight trademarks used by Goebel for identifying the periods a Hummel was modeled, placed into production and released to the market. 1956-1959 minor variations in positions of the "Bee"
10. 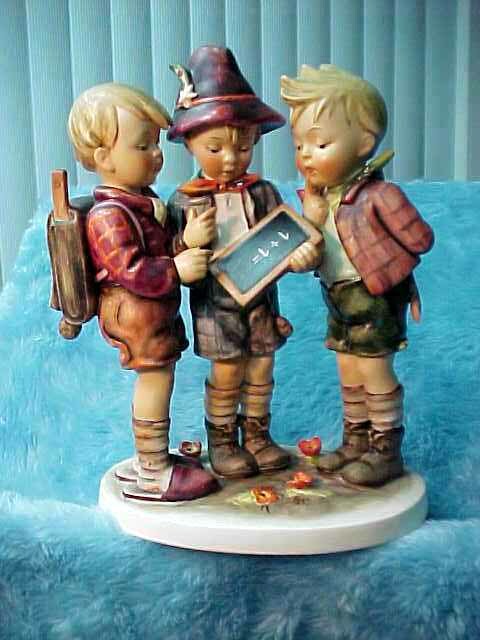 Starting in 1998, while producing Hummels with Trade Mark 7 (TMK 7), and then into the era of TMK 8, Goebel introduced a new concept of collecting and displaying their distinctive Hummel Artware. The new name adopted was THE HUMMELSCAPES (TM) COLLECTION. Here beautifully colored and detailed display units are made for Goebel in China. 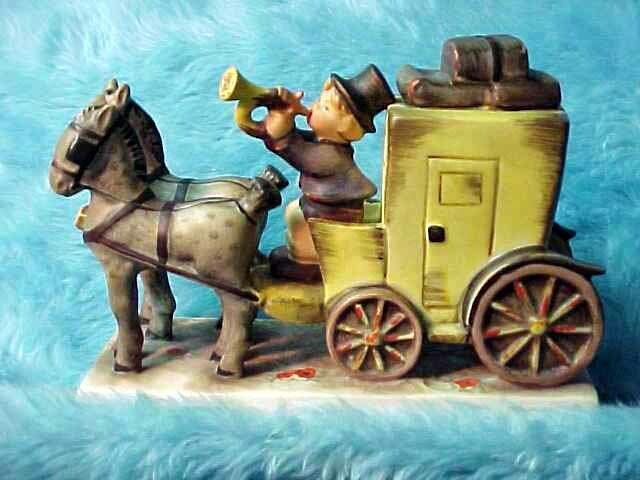 These display pieces are subject and theme integrated into former and newly introduced Hummel figurine displays. 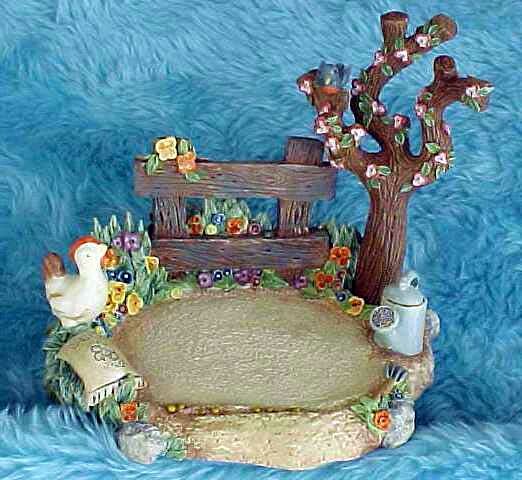 Below is a recent example of a recently released Hummelscape. In this particular case, the Hummel also carries the newest TMK 8 as shown in larger form in the above REFERENCE TABLE OF HUMMEL TRADE MARKS. 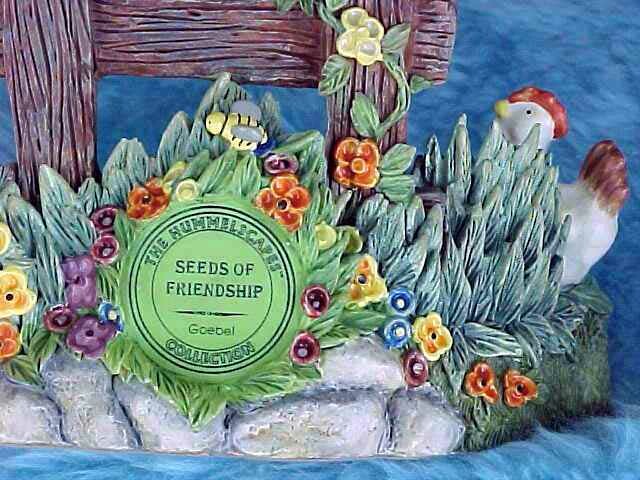 "Spring Sowing" HUM 2086, Limited Edition of 25,000, TMK 8 (3-1/2 x 3-1/4). Underside of "Spring Sowing" showing the New Goebel "B"